Tried it - works perfectly. Has anyone got this working doing Reception on an aTTiny85 or 84? 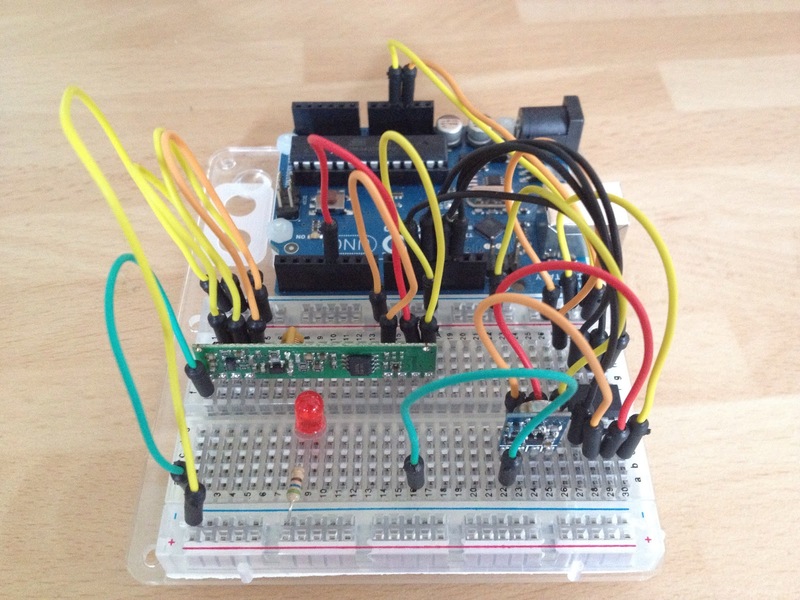 I have used your library successfully going from ArduinoMega to Arduino Uno. Receiving on pin 2. I can also get the code to compile onto an 85 using SetRXPin(4). But as soon as I call SetupReceive() basically something happens that locks up the thing. I know it is a pill to trouble shoot in comments. But I am just looking for at least an up or down, should it work? Now my issues moves to actually getting data. With some rudimentary troubleshooting I can establish the receiver is getting transmissions. By just passing through a readDigital to an LED I can see the data pin providing in sync with the transmitter. But the ISR function is never stepping past RX_MODE_SYNC. It fails one of the tests and falls back to pre. So even ReceiveComplete never returns true. Any notions why this might be? I will keep hammering but any notions would be awesome. I have same problem and have also detected same thing as you did. If you get some results, please post them here. I've just accepted a Manchester patch (https://github.com/mchr3k/arduino-libs-manchester/commit/062b5e00d4633562bfed3a612b378d3c29f43e0c) that fixes the ISR(TIMER1_COMPA_vect) issue. However, I've never actually tested with an ATTiny being the RX node so I'm not sure what issue you might be hitting. If you are never completing sync you may be getting some kind of interference. 2. when I was debuging, I have set 1s delay before each command, and led on/off. Now after command MANRX_SetupReceive(), delay(1000) lasts 1/16th second (if I put 16000 in delay, it lasts 1s). Arduino Mega sending, ATTiny85 receiving with the MIT Tiny85 Arduino Core loaded onto it. I have not confirmed this myself but he has had this working. It was very much in synchronizing the timers. I have some time next week to dig into his work and will be back to report! what happens when multiple TX units try to send data to the same RX at the same time? You will likely receive a corrupt message. TX nodes should send each message two or more times with random gaps to make it likely that each message gets through at least once.